I got a late start with the whole riding thing, so it wasn't until late high school that I had a lesson here or there. 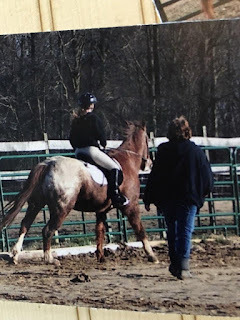 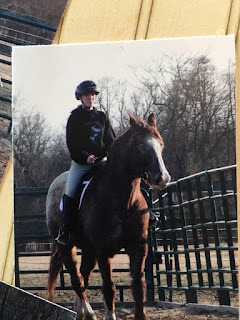 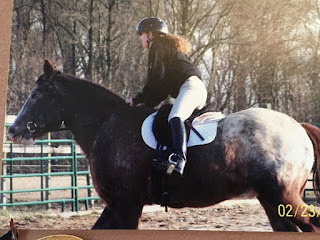 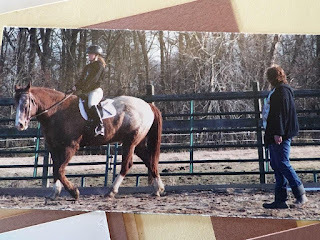 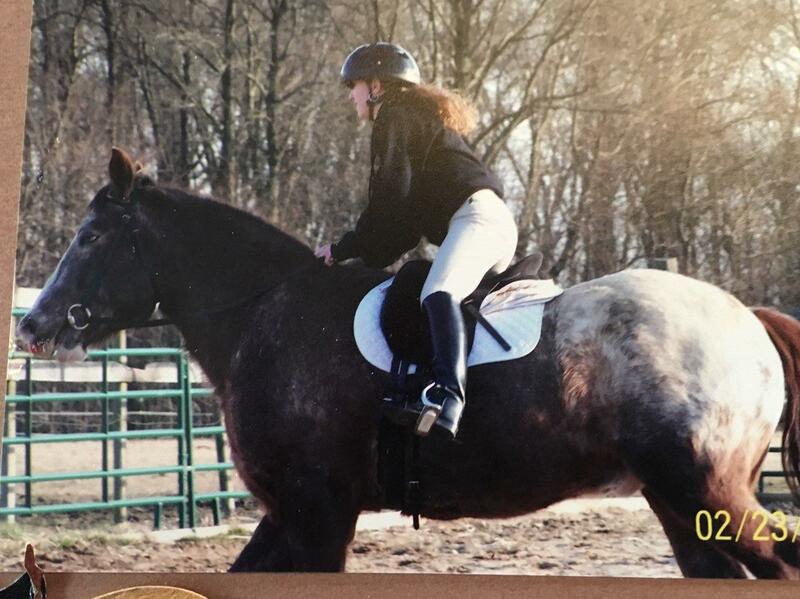 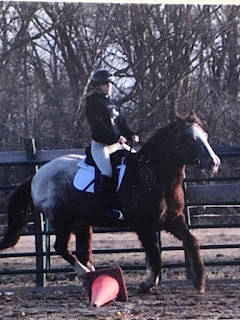 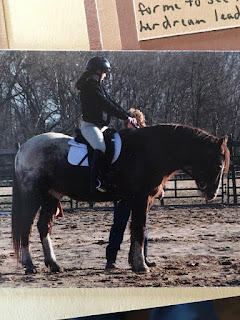 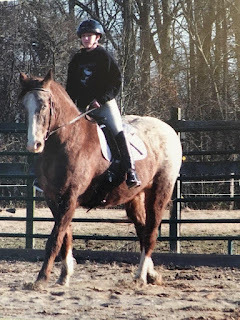 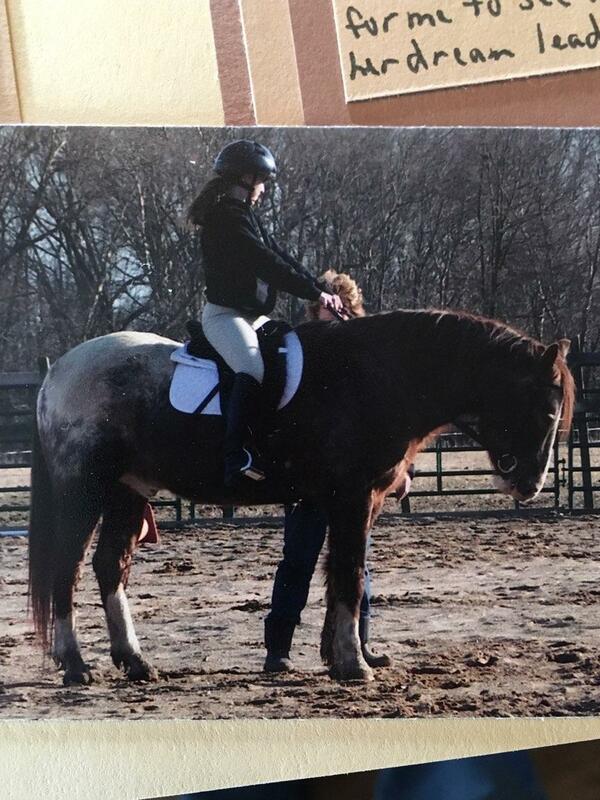 The woman in these photos, Cindy, gave me my first real lessons and my first Dressage lessons. 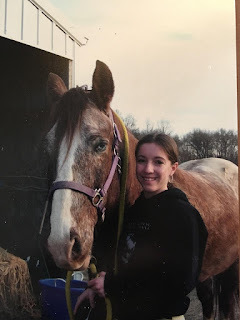 The horse in these photos, Mr. T, was a saintly Appaloosa who had done everything under the sun, including being used as a search and rescue horse. 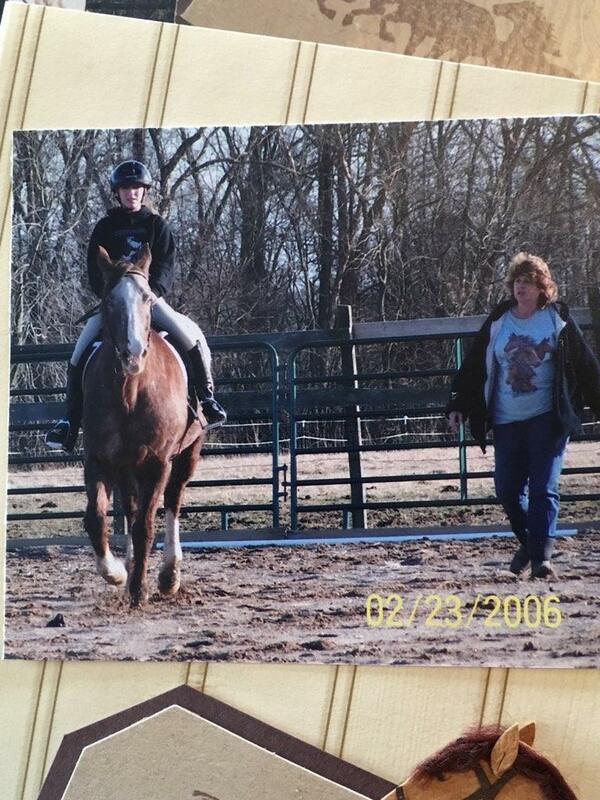 They were both great teachers for me and I find myself still thinking of things Cindy taught me to this day. 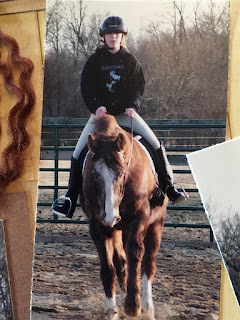 Thanks to my mom for taking and digging up these (scrapbooked) photos! 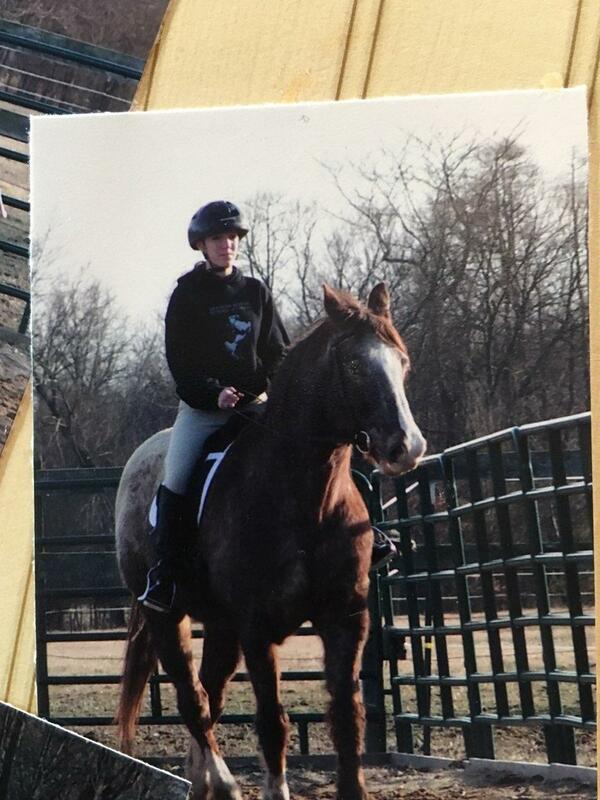 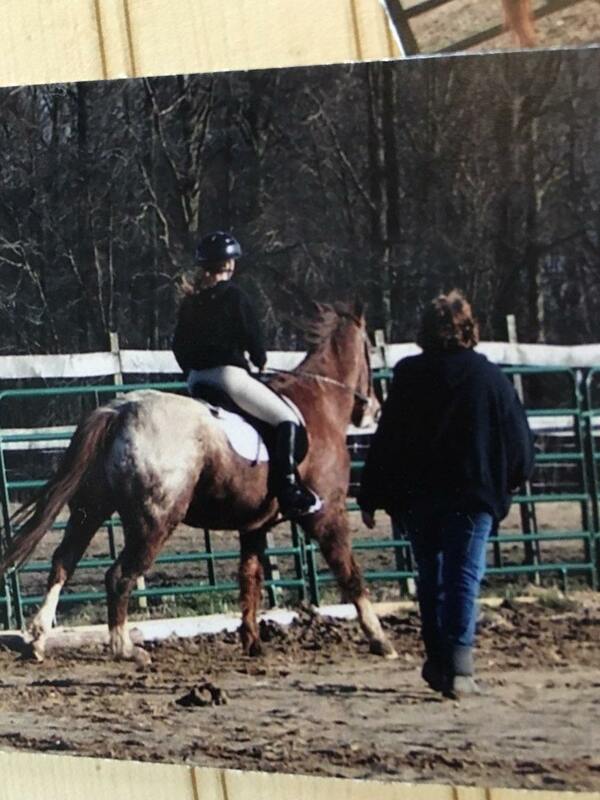 I was terrified of cantering for a long time, can you tell? Good to know I've always been crooked, I guess? These are precious. 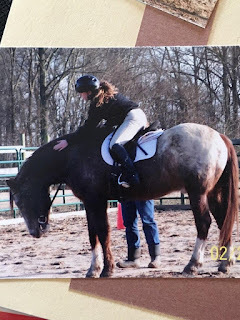 I was scared of cantering for a long time, too!